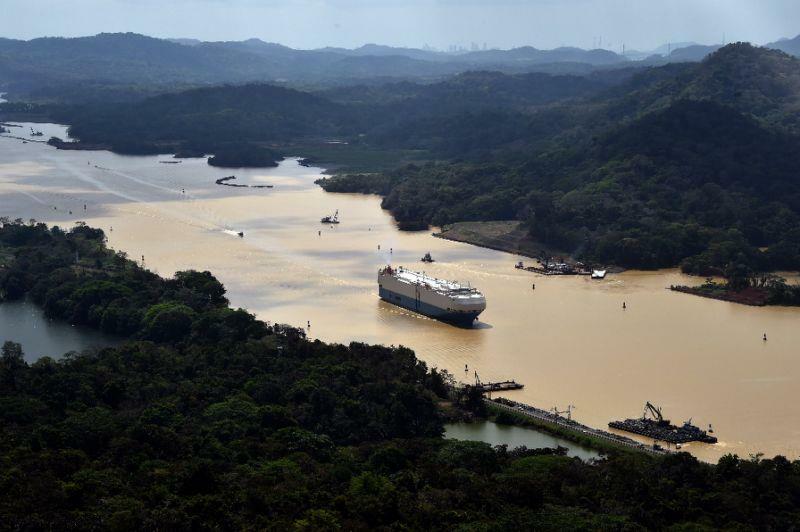 (MENAFN - Newsroom Panama) Global warming contributing to the El NiÃ±o phenomenon means that the last four months (December, January, February and March) have been the driest in the entire hydrological history of the Panama Canal. €œ'There is very little water from the rivers entering the GatÃºn and Alajuela lakes, sources of supply for the interoceanic canal locks and for the supply of 2 million people living in the metropolitan area of €‹€‹the city, says Carlos Vargas, vice president of Water and Environment of the Panama Canal told La Estrella. The intensity of the solar radiation, added to a 30% increase in the winds, is causing the water in the lakes to evaporate at a faster rate than it enters and lake levels are falling at breakneck speed. Lake GatÃºn has a deficit of 1.1 meters, and Alajuela, 2.7 meters. When there is not enough water, it is necessary to restrict the draft of the vessels that transit the interoceanic route. So far four adjustments have been made: the first 49 feet, the second 48 feet, the third 47, the fourth 46 feet. On April 10, an adjustment to 45 feet will be enforced, and a new adjustment to 44 feet is contemplated for May. The chances of the scenario being maintained are high. The North American Agency of Atmospheric Administration (NOOA,) warned that there is an 80% chance of the El NiÃ±o phenomenon continuing until June. The US agency estimates also indicate that there is a 60% probability that El NiÃ±o will continue until next August. "That makes the operation of water resources riskier," said Vargas. The reduction in the draft, which is the depth of a ship when sailing, limits the load. By bringing less cargo the ship pays less toll, which would cause an impact on the finances of the waterway. The last NiÃ±o cost the canal administration $ 40 million, according to Vargas. Another risk faced by the canal administration when the draft is reduced is the choice of alternate routes by the vessels. The Canal positions Panama as a logistics center and contributes to the country's economic growth. The passage of ships generates almost $3 billion annually. The scenario is repeated widespread in the rest of the country. The main basins face the same situation as that of the Canal. For example, Bayano is well below its levels along with the Changuinola and Fortuna river basins. El NiÃ±o, a recurrent climatic pattern that involves changes in the temperature of ocean waters in the central and eastern part of the tropical Pacific, which usually accentuates the drought on the Pacific slope. In periods ranging from three to seven years, the surface waters of a large strip of the Pacific Ocean are heated or cooled between 1 ° C and 3 ° C, compared to normal. This heating and cooling is known as the ENSO cycle It affects the distribution of rainfall in the tropics and can influence the climate in other parts of the world. The National Aqueduct and Sewer Institute (IDAAN)Mhas recommended declaring a 'national emergency' for El NiÃ±o. The initiative is aimed at allowing faster purchases and contemplate the funds to defray the ravages of El NiÃ±o. The Panama Canal studies the water potential of the Bayano, Indio and Villa basins, to build multipurpose reservoirs to store water in the rainy season and release it in the dry season. This will allow controlling floods, for human consumption, for agriculture and for livestock. "This will allow us to have water for the next 200 years," Vargas concludes. The studies have an advance of 75%. They are expected to be ready for the next government administration to make the decision to build them. There is scientific that Panama is being affected by climate change: the air temperature increased 0.5 degrees Celsius in the Canal area and among the experts there is fear that it will increase between 1 and 1.5 degrees more, which would lead to a reduction of the availability of water, the main engine of the Panamanian economy. An additional indicator of the effects of warming on canal lands is the intensity and frequency of storms. Eight of the ten largest storms of the last 50 years have been recorded since 2000. Scientific data has also revealed an increase in the average level of the Caribbean Sea, at the North entrance of the Panama Canal.